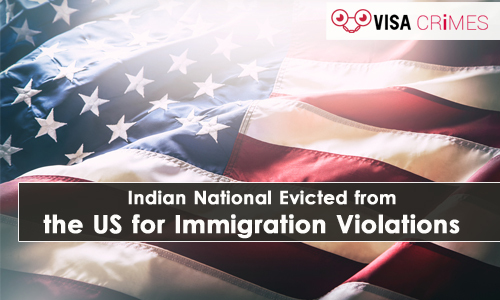 U.S. Immigration and Customs Enforcement’s (ICE) in conjunction with Enforcement and Removal Operations (ERO) removed an Indian national from the US on the 1st of April for the violation of immigration laws. The Indian man, Ubaidullah Abdulrashid Radiowala, was handed over to Indian authorities where he is to face charges for several crimes including theft, extortion, attempted murder, and formation of an organized crime syndicate. According to the ICE report, Radiowala came into the US illegally and was arrested by ERO on September 20, 2017 in New Jersey. An immigration judge after that gave an order to remove him from the United States. He appealed his removal order, but the decision was upheld by the Board of Immigration Appeals (BIA). He has since been held in detention until he was removed on the first day of April. According to the field office director of ERO Newark, John Tsoukaris, several criminal charges laid against Radiowala in his home country is evidence that he poses a significant threat to the safety of US citizens. The commitment of the agency towards public safety in the US is highlighted by officers’ courageous and targeted efforts. In 2018, the total number of removals by the ICE was 256,085, representing an almost seventeen percent increase in comparison to 2017 figures. ICE often emphasizes its commitment to removing all threats to public safety at all cost. Gang members, criminal immigrants, violators of US immigration laws and people that illegally enter the country after removal are all seeing as threats to public safety.